I have been going to SHOT Show since 2012, and for the most part they were all pretty similar. Guns, of course, are mechanical things, and the advances in material science and mechanical engineering are slow. 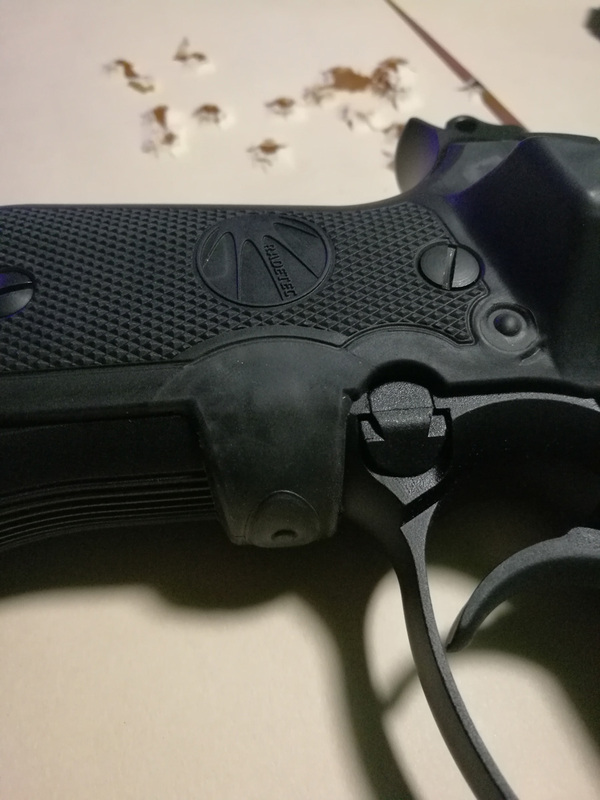 It's reasonable to predict that Les Baer and Freedom Arms will continue making essentially the same world's most accurate handguns, Savage guns will continue having the best price/performance ratio, Taurus guns will be cheap and acceptable, Sig guns will be expensive for a reason, HK guns will be expensive for no reason, Smith & Wesson revolvers will have world's best DA/SA triggers, and Glocks will be Glocks. It was, it is, and, for the foreseeable future, it will be. For me, the SHOT Show was a place to make deals, buy and sell stuff, not marvel at technology. This year was different. There was a bunch of cool new gun-related electronic gadgets as microprocessors continue their penetration into our everyday lives. And I bought a bunch - so they will be coming to Precise Shooter store near you - watch for updates! 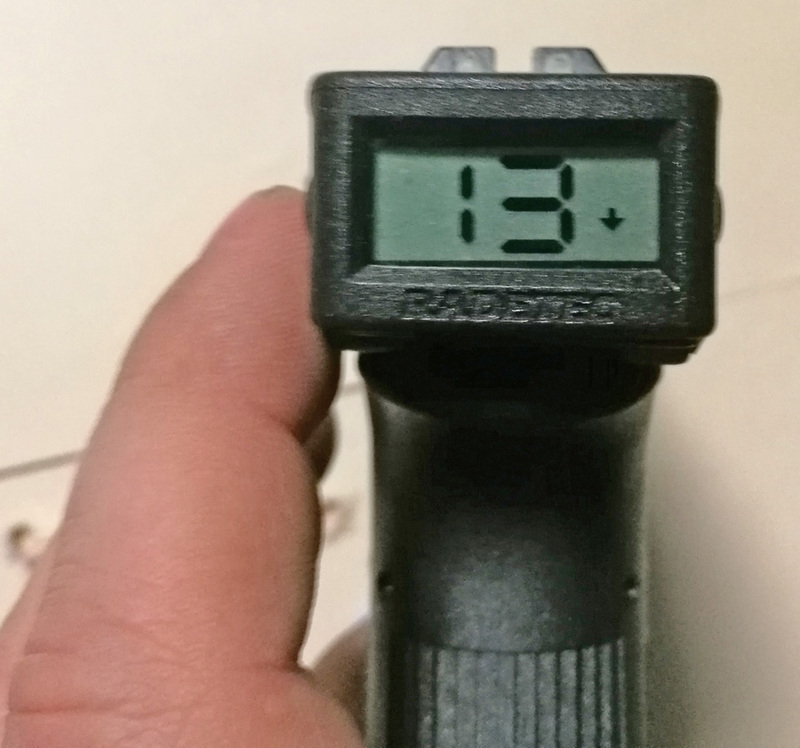 This review is about several such gadgets, digital shot counters from Rade Tecnologías (Spain). Remember Halo? I am a huge fan of the game, having played it while exercising on my treadmill from its release date to now. Halo was what introduced me to shooting. So when I saw this on the SHOT Show floor, I was sold immediately. 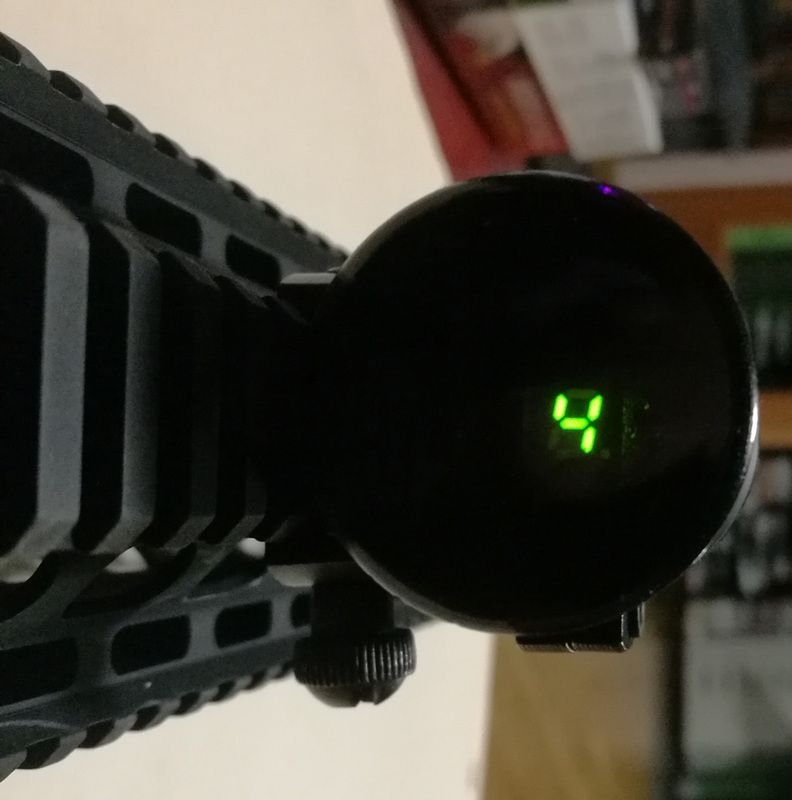 After fumbling for a week with setting up the account, and waiting for another few days for product delivery, I was a happy owner of digital round counters for Glock, 1911, Beretta 92FS, and AR-15. I bought a few for stock, available here, and one each for myself. 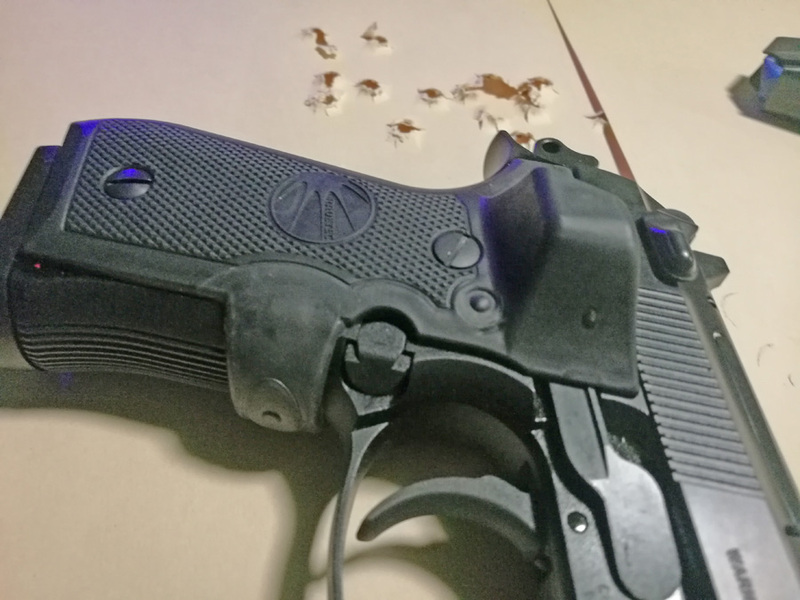 Since I realized that I do not own a Beretta 92FS, I went ahead and bought that gun, too, to test the counter out. Please keep in mind that I tested these products for a grand total of two days. 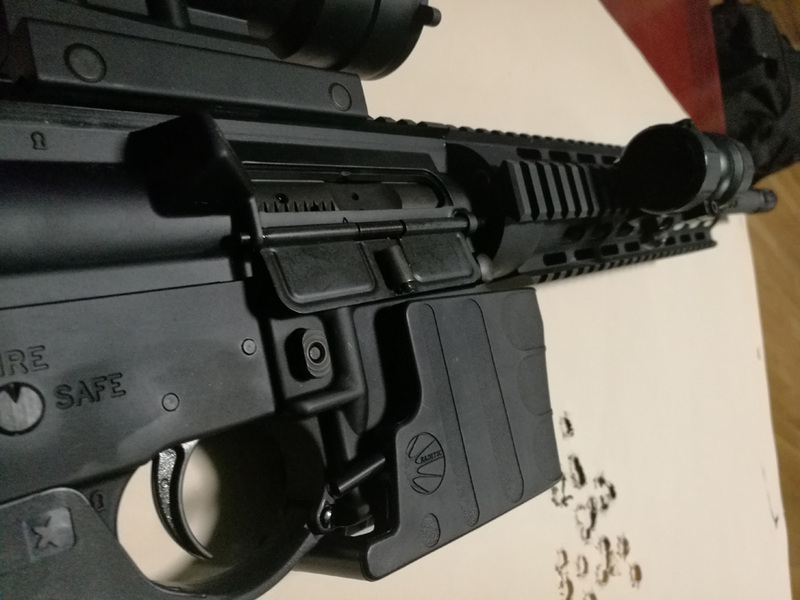 They were fun to use, and reliable (except for the AR-15 part), BUT there are questions - such as battery life - which I could not evaluate during such a short time frame. Also, please be very careful, and do not point your gun at anything you are not willing to destroy - even if the counter shows zero! 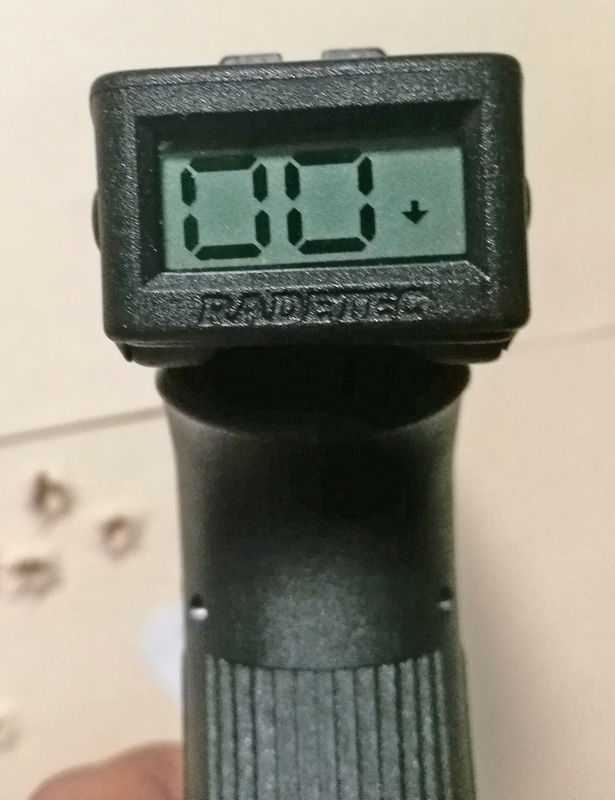 This counter is the simplest, cheapest (we charge only $79.99 for it), and the most accurate of the bunch, in the sense that unlike all other counters which count the number of rounds in the magazine, RISC counts the total number of shots. It operates purely on recoil. It can count up, and it can count down. Obviously, the countdown mode is the most useful. 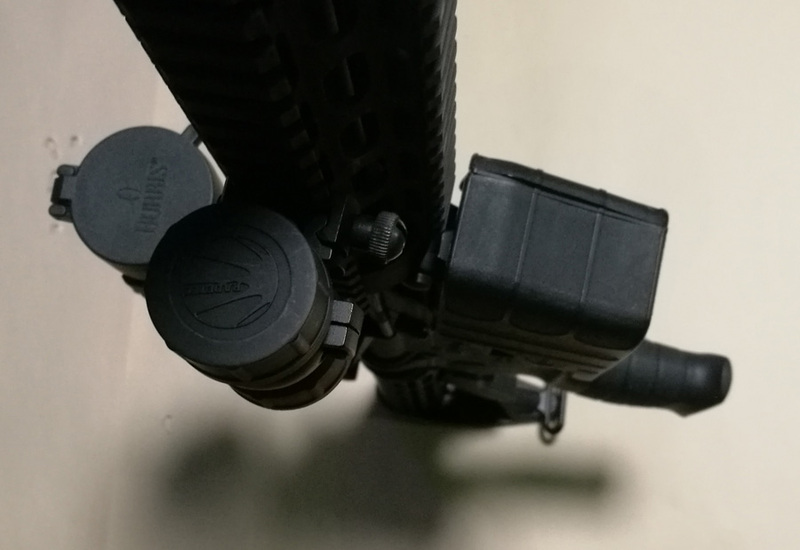 The mounting is super easy - it slips on top of the slide around the rear sight, and is held to the frame by the magnet. 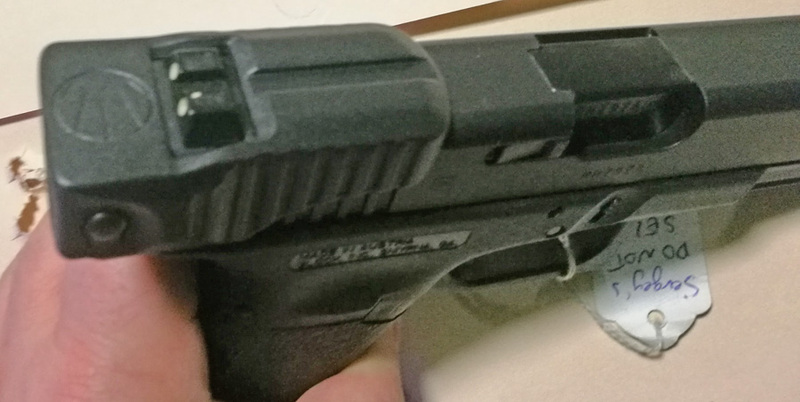 The fit is very tight - I shot 150 rounds through the pistol with it, used it to rack the frame, and it did not slip one bit. Here it is on my 23. 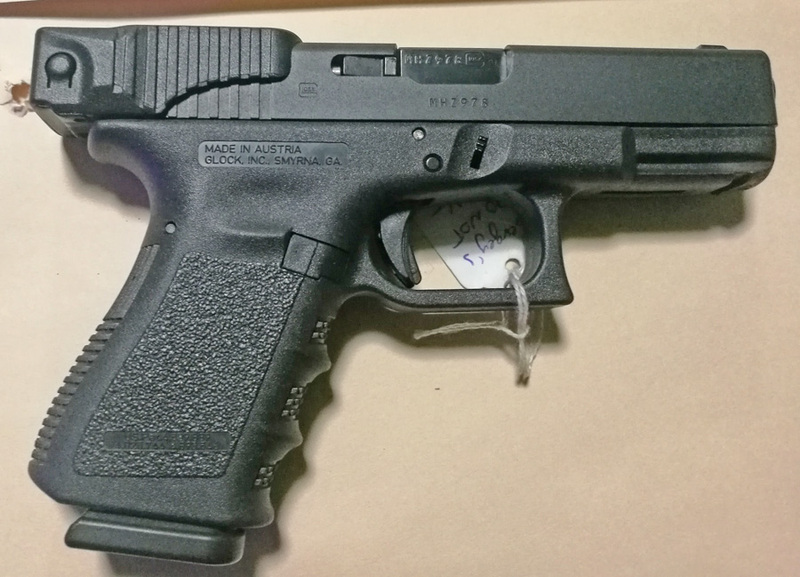 The gun fits on all Glock frames that are the same slide dimensions as Glock 17. Manufacturer specifically lists models 17, 17C, 19, 19C, 26, 34, 22, 23, 27, 35, 31, 32, 33 as compatible. 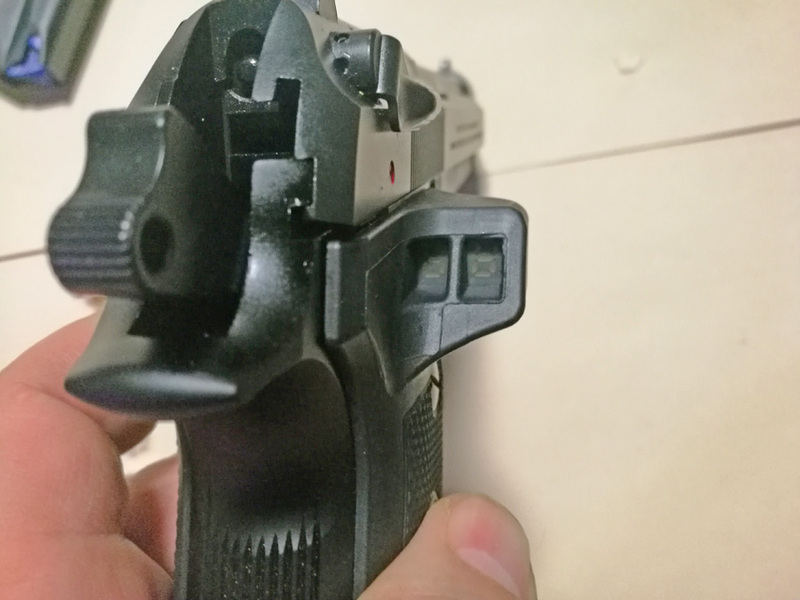 You need either factory sights (night sights work), or the sights that are dimensionally similar. Unfortunately, it does not fit on MOS guns (at least not with the red dot sight installed. If it did, it would be absolutely AWESOME. But the way it attaches to the frame it would be hard to do. The sight has two buttons on the side. Pressing either one turns it on (it turns itself off on timeout). Pressing and holding either one for a few seconds switches between counting up and down. When it switches to up, it automatically zeroes itself. When it switches down, it automatically resotres to the programmed capacity. The round capacity of the gun is programmed by holding both buttons together for a few seconds. You can program it to the magazine capacity, or magazine +1 capacity if you carry the gun with a round in the chamber. The countdown would represent the total rounds available in the gun. 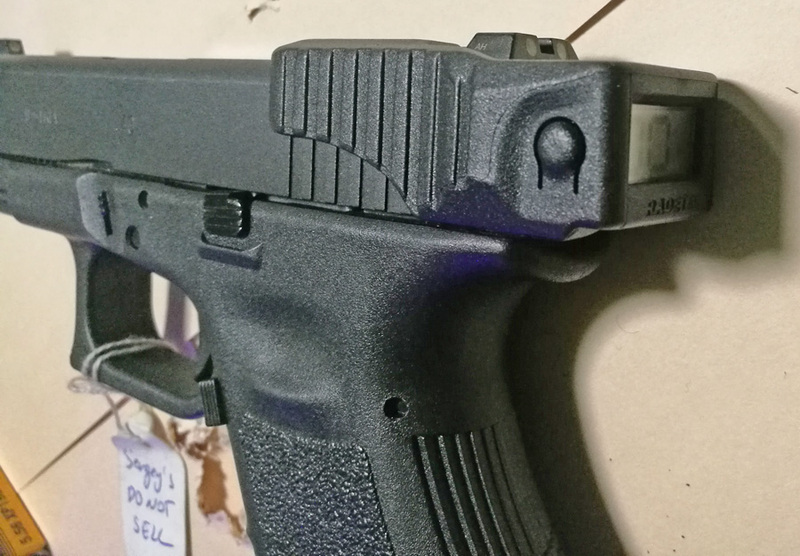 I have put it on a Gen 3 Glock 23, programmed the counter to 13, and ran a few magazines through it. My unit exhibited an interesting quirk - initially I though that was a bug, but then realized that it is actually a feature. When the first magazine ran out, the counter automatically reset to 12. When the second magazine ran out, the counter remained at 0. To reset it, I had to press and hold to switch to count up, and press and hold once more to go back to count down, at which point it went back to 13. I was surprised by this in the beginning, and then realized that it targeted the following user scenario. 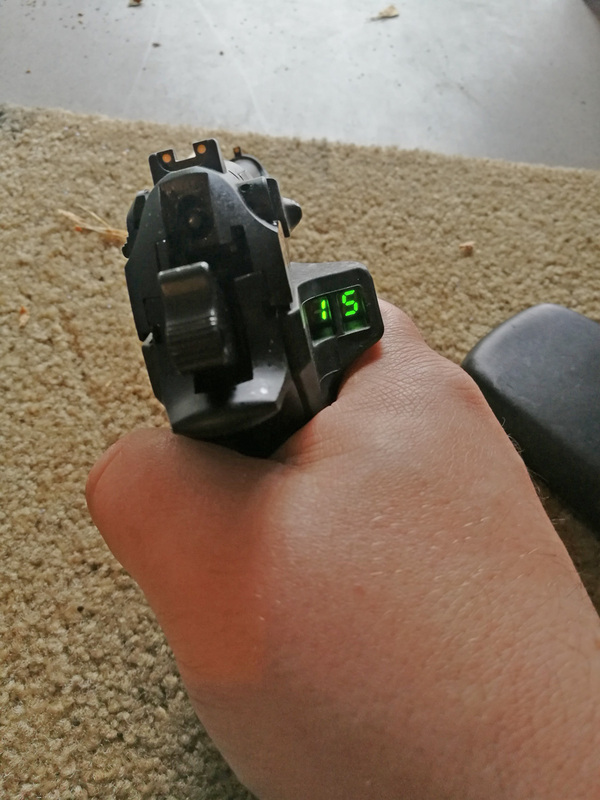 I was supposed to set it to magazine count + 1, for the round in the chamber, or to 14. When the gun is emptied, I would insert a backup magazine, and the counter would have gone to 13. 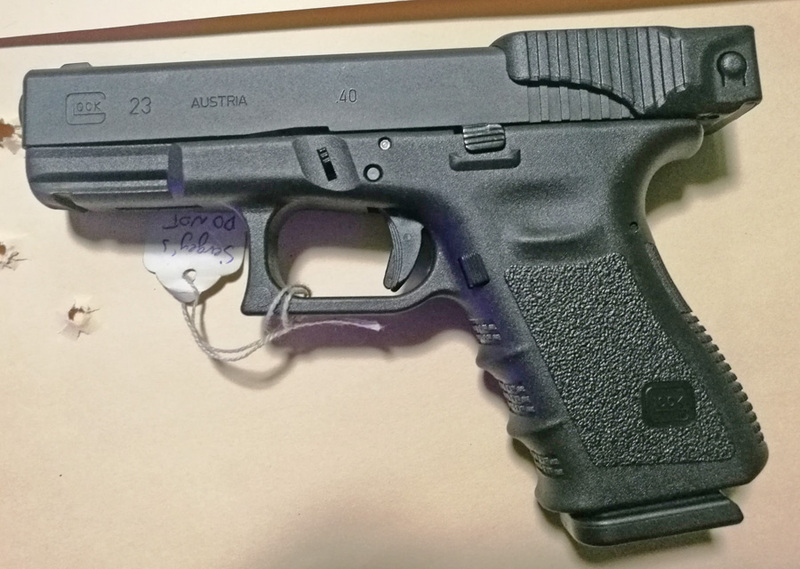 This is not how I use Glocks, but this is probably the way police does, and the right way to carry the gun for self defense. 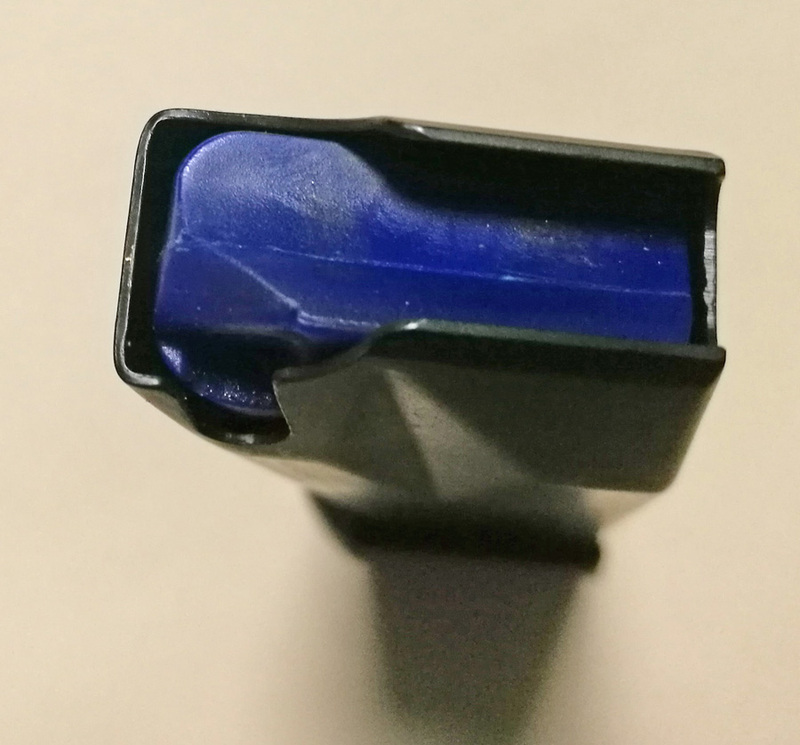 If you, like me, do not like carrying a gun with a round in the chamber, you can put one less round in the second magazine, and the device will work correctly. With that caveat, I ran 3 boxes of different 40S&W ammunition through my G23 with the counter installed, and it performed flawlessly. The counter activates automatically when the slide is racked or it is fired, and the timeout is generous enough so I never had to worry about it. I have only two wishes for this product - if resetting the counter to magazine capacity would be easier (for example, if pressing and holding one button switched to count up and pressing and holding the other button switched to countdown with programmed capacity), and if it fit MOS models (this I realize is pretty difficult), the product would have been absolutely perfect. 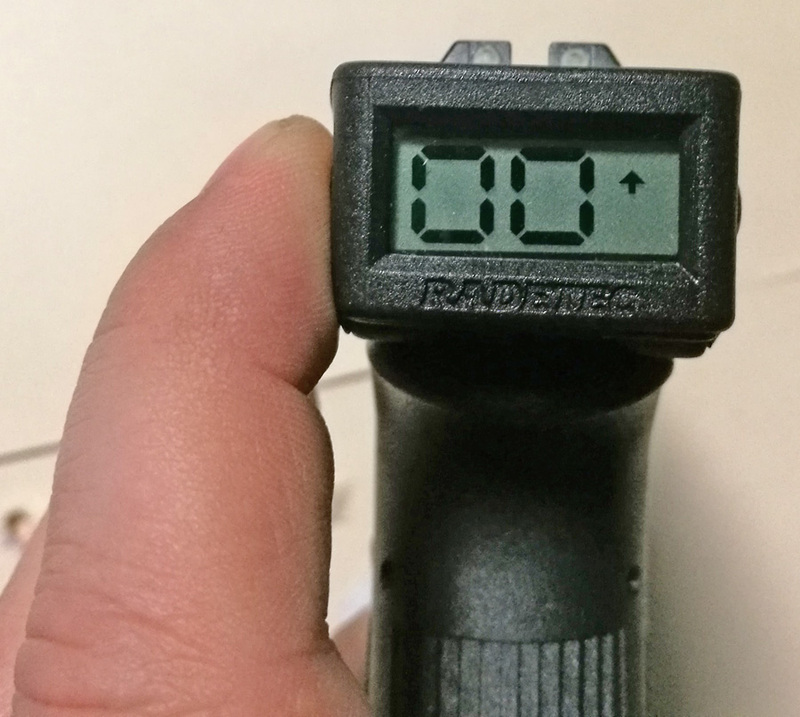 Unlike the Glock counter, the digital counter for Beretta is a pair of grips that replace the factory ones. The batteries got into the left grip, the counter is a bulge on the right one. 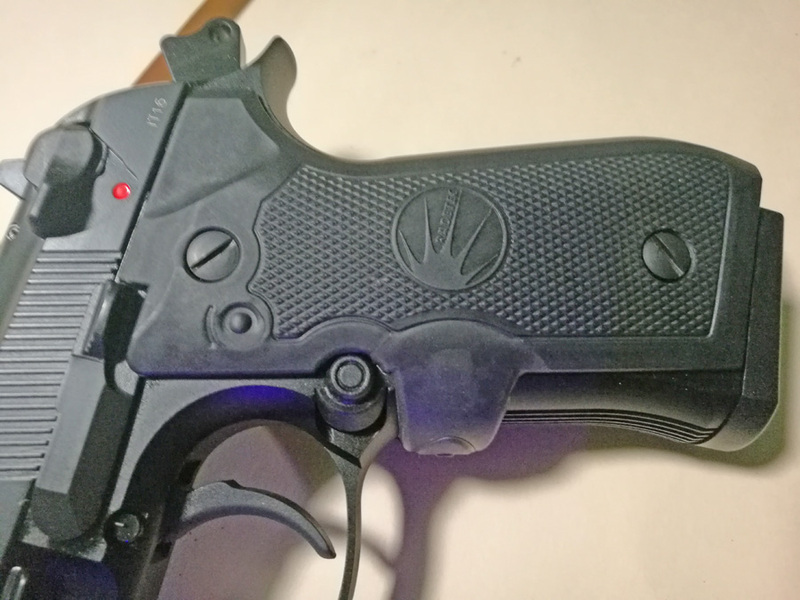 The two grips are rubber, and they are connected by a strip that goes under one's middle finger and sports a button right under the trigger guard. This button is what activates the counter. 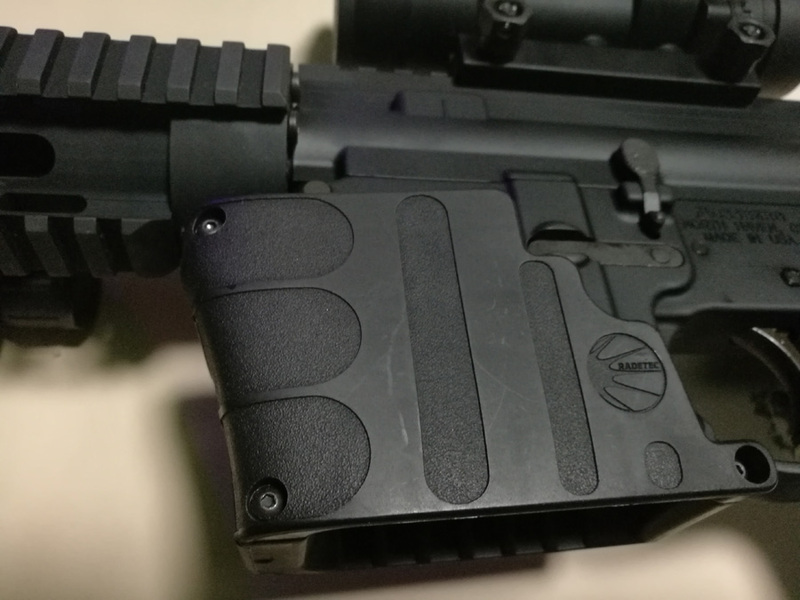 The magazine's follower has to be replaced with a special one from Rade - it contains a magnet, which is how the sensor in the grip learns about the number of rounds remaining in the magazine. When you squeeze the button with the middle finger, it displays the number of rounds remaining in the magazine. This technology is extremely accurate - I ran a few magazines and tested both adding and removing rounds mid-magazine - it worked as a charm, accurate every time. However, you need to realize its limits of applicability - 0 in the magazine can still mean one in the chamber. Failing to take this into account is extremely dangerous, and can lead to fatal mistakes. 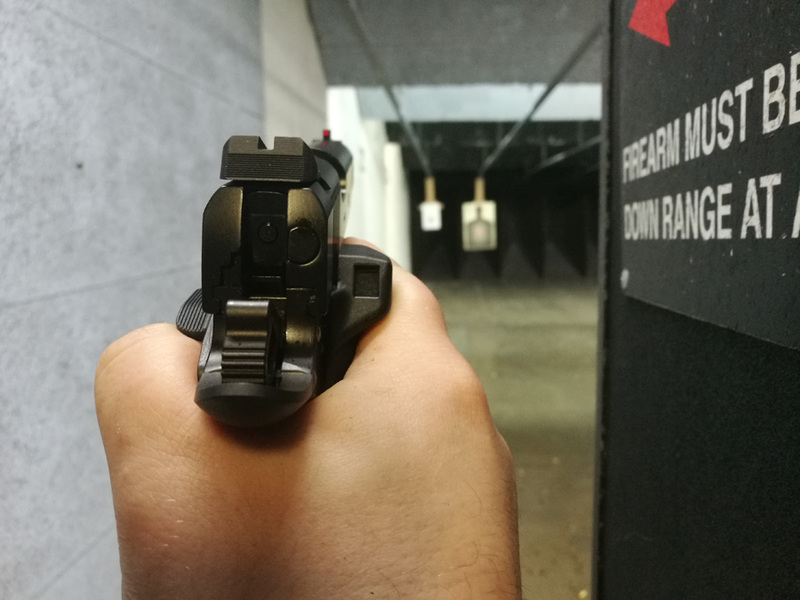 Though 92FS does have a loaded chamber indicator, you still have to remember to look at it, and the counter is very much in the face. There is one place where the product, I felt, could have been improved, and it is the duration of the counter display. When the button is pressed, it lights for a few seconds, and then goes out. You have to press again to see the round count again. When the gun fires, the counter comes up automatically - again for just a few seconds. I understand the reasoning behind the design - if a button is pressed by something in a gun safe, you don't want the battery to be simply silently drawn to zero. I think increasing the timeout duration to 20-30 seconds, however, would help improve the experience dramatically. Other than these two things, the chambered round accounting and the timeout, the gun looks really cool, and the counter was easy to install and very reliable in my testing. 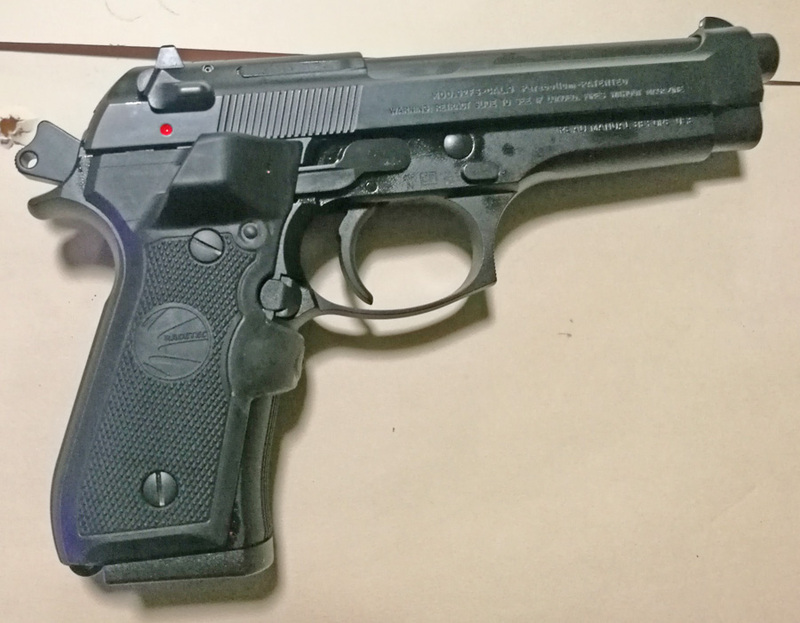 This one is extremely similar to Beretta 92FS. 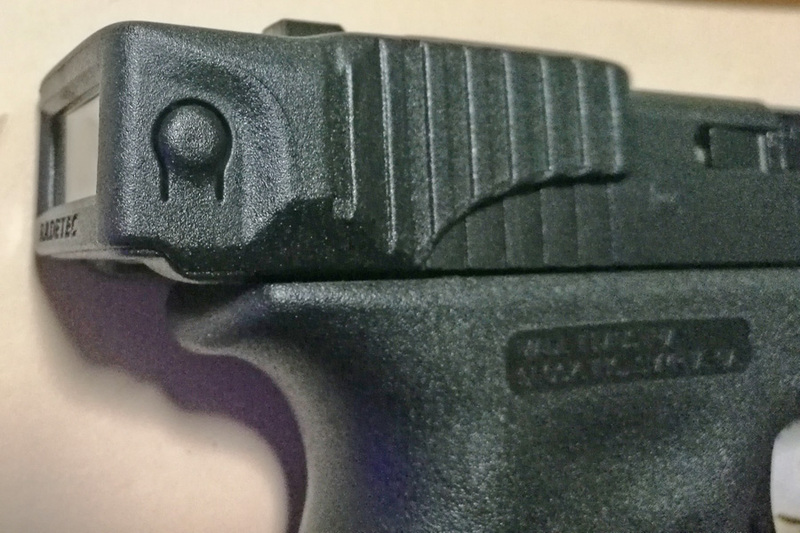 It is designed for A1 guns - it will not work in high capacity 1911s, so it only has one LED digit. Just like Beretta, it ONLY - obviously - shows current magazine capacity, and does not account for the chambered round. 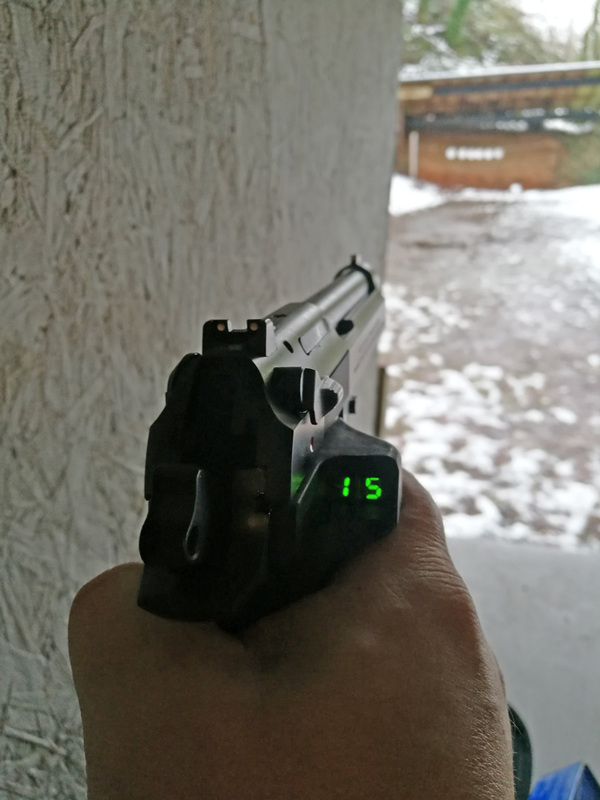 Just like Beretta, it has a short timeout on the indicator, which I would love increased. Just like Beretta, it was extremely reliable in testing. Unlike Beretta, it comes with two fully assembled magazines, rather than just magazine followers. This counter was not available at the SHOT Show, so I was a bit apprehensive when I was buying it sight unseen. 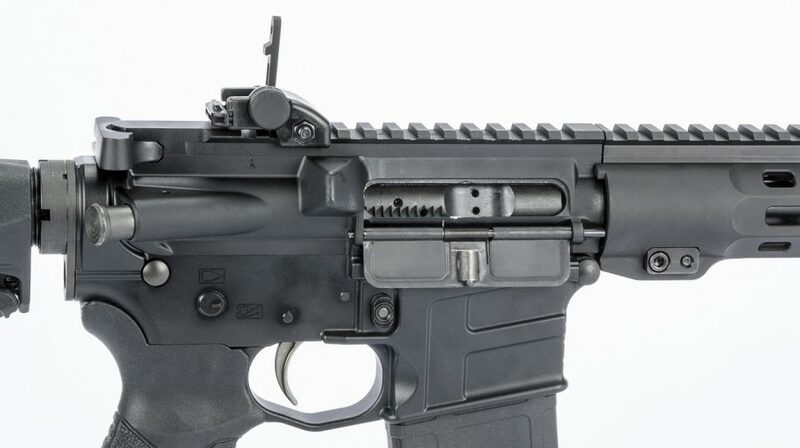 The device consists of two parts: a sensor that mounts over the lower receiver's magwell, and the display that goes on a side rail of the handguard. These two parts are connected wirelessly, which is great for usability, but I am looking forward to see what this means for the batteries. Both parts are made of really sturdy plastic, and look very solid. The display unit is actually connected to the side rail using a normal 1" ring - it has a scope-like 1" diameter tube. The piece that goes over magwell is large enough and sturdy enough to double as a foregrip. It has a button that for some reason sticks way out - this is the button that activates the display. The sensor consists of two pieces - one deep, one shallow - which are screwed together to embrace the magwell. 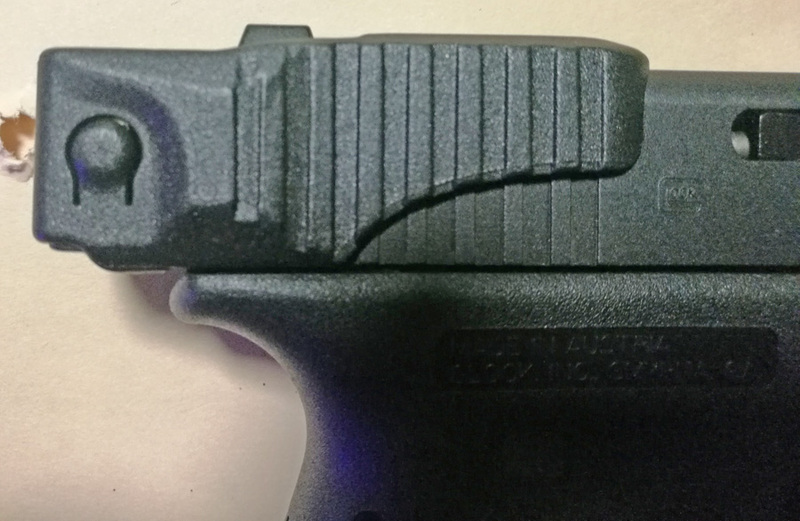 There is a grove cut out on the inside part where the ridge on the lower part of the magwell is held by two pieces of foam. The system is designed for standard milspec receiver - if yours is different, it will most likely not fit. 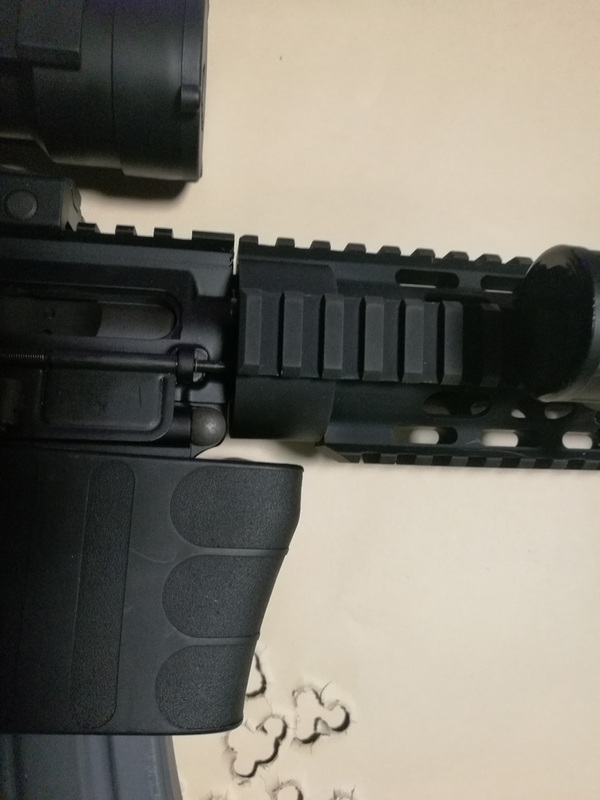 For example, it did not fit on Savage Recon lower, which is not milled everywhere to the same depth that regular AR-15 receivers are. Which was a shame, because I wanted to try it and the new Savage line at the same time. Instead I had to put it on a Mossberg. As it is, the fit is very, very tight, and I was afraid that it will snap as I mounted it. Once assembled though, it does not look out of place, and is nice to hold on to. There is one minor inconvenience in the way the sensor fits - it will prevent the upper from pivoting on the forward pin. you will now have to always remove the upper for cleaning completely. Similarly to Beretta, it came with two followers that had to be installed in the magazines. 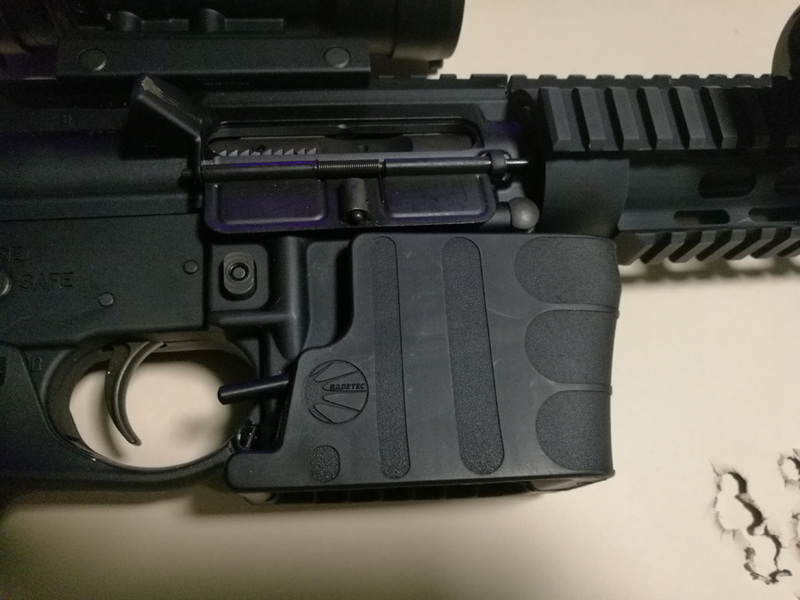 the instruction said that any military-style aluminum magazines should work, so I used two S&W magazines. 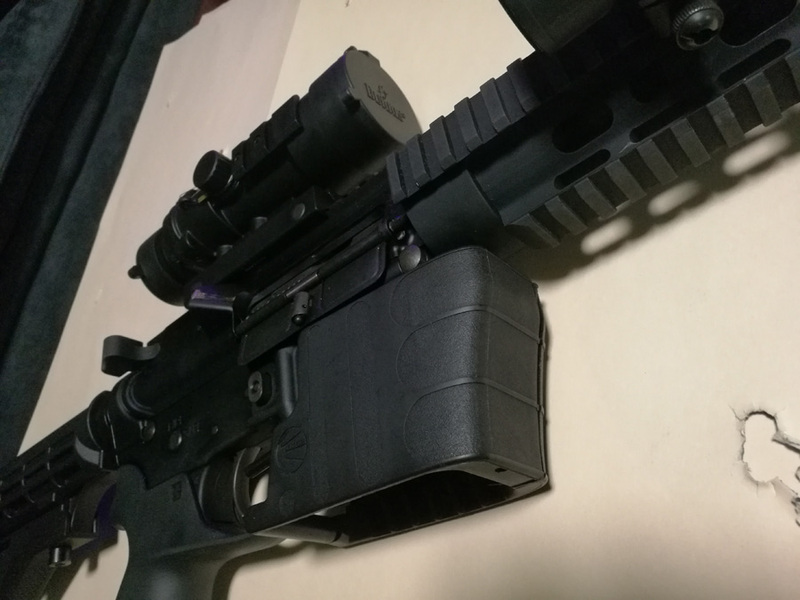 I don't know if it will work with PMags. 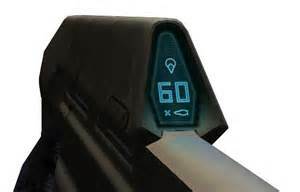 The counter can only detect up to 14 rounds in the magazine - anything more than that, and it does not see the magnet in the follower, so it gives the same indication as if magazine were not present at all. I understand why this is - but it is a negative. 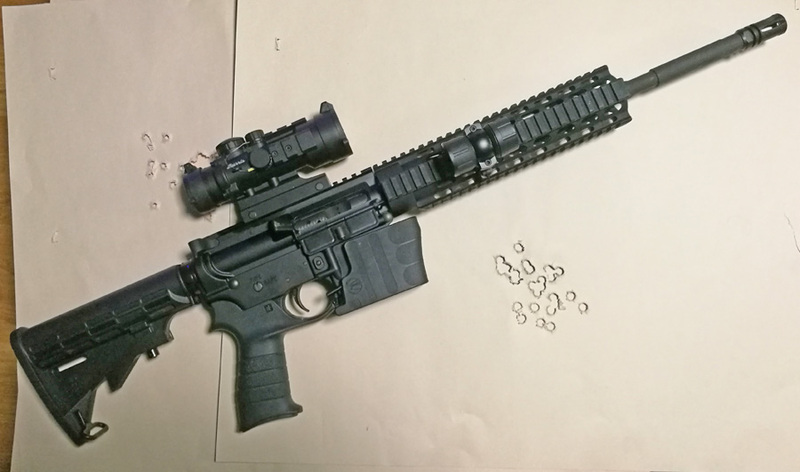 In my tests, the AR-15 counters has proven to be a lot less reliable than its pistol brethren. I ran a few magazine, and it was often off by one round. 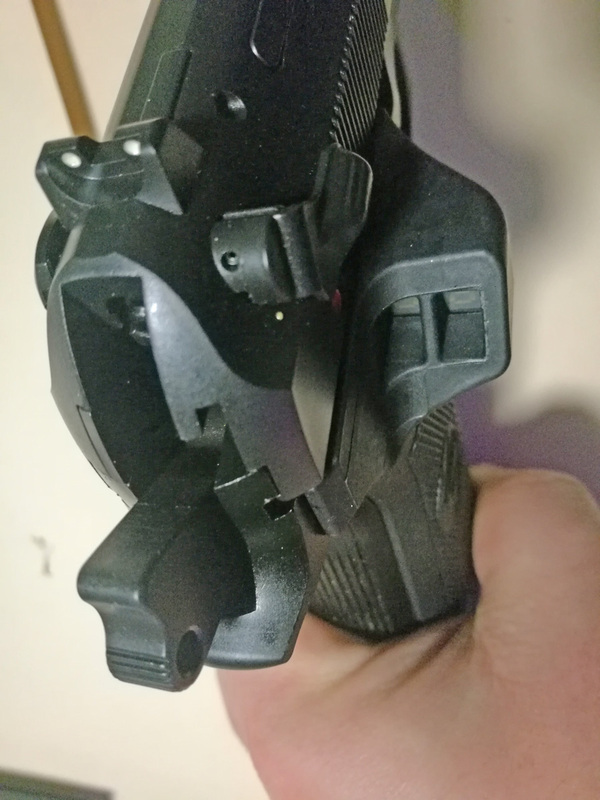 The device has a calibration mode where you put 14 rounds in the magazine and shoot, and after I did it twice, it seemed to have found its zero, but then I brought it home and put an empty magazine in it - and it now says one round. Of course, "calibration" by firing half a magazine - especially if I have to repeat it - is rather expensive. I will see if I can do it by cycling snap caps at home (I won't dare doing it with the live rounds), but even with snap caps - it's $70 worth of snap cap just for calibration. This lack of stability coupled with the calibration cost is what kills the product. In addition, it suffers from the same very short display timeout that Beretta and 1911 counters had - but these are comparatively small things. Pistol counters are very good, solid products. There are tiny tweaks that can make them excellent, but I can live with the limitations that they have. These are the products I plan to maintain in stock - unless problems with the battery life or longevity will surface in the future. 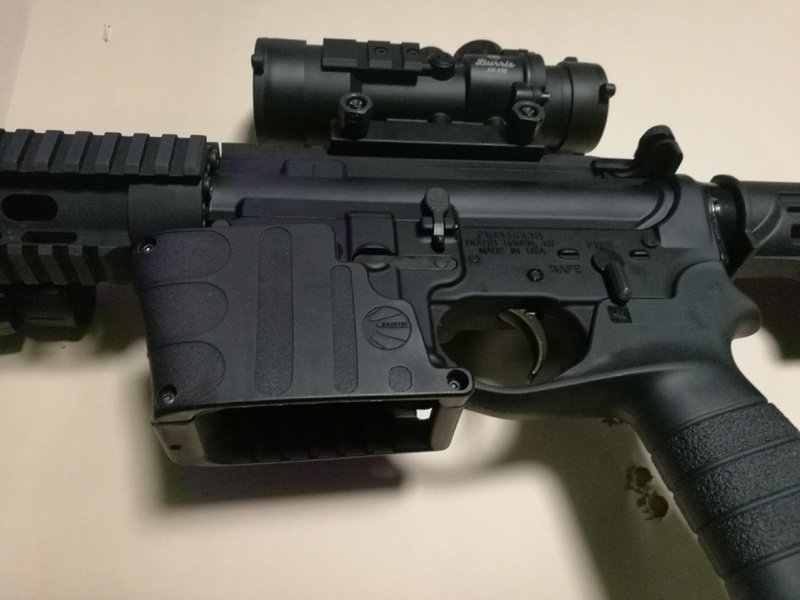 AR-15 counter is a beta/V1 product, usable by early adopters, but should be improved before hitting mainstream. 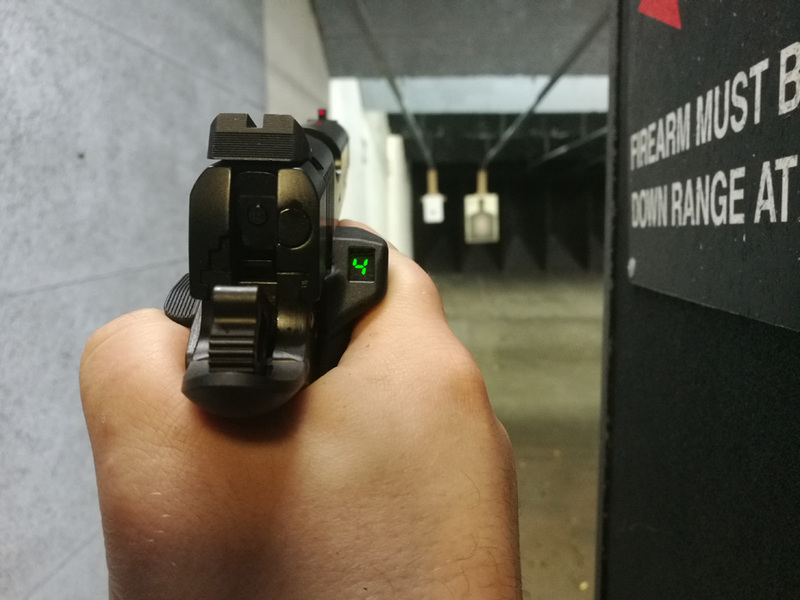 Calibration mode needs to not require firing the gun, a better way to marry the lower with the magwell should be found - so magwells with reliefs on them cound be supported - and of course the same usability tweaks I suggested for pistols would be useful here as well.